G&G M14 EBR Wolverine Engine Pdi 510mm stainless 6.03 barrel Maple leaf macron 70 degree hop rubber and flat nub 3 mid caps 2 hi caps Rail mount Mock Suppressor (hides extended inner barrel) Double mag pouch in OD Wolverine Storm regulator and line. £500 all in for the whole lot. Need this gone, no time wasters. Sold as seen. 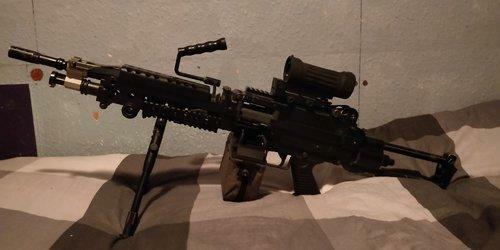 A&K M249, upgraded to shoot 60m flat. Comes with all seen in photo. Will not split package. Priced to sell. No time wasters and sold as seen. 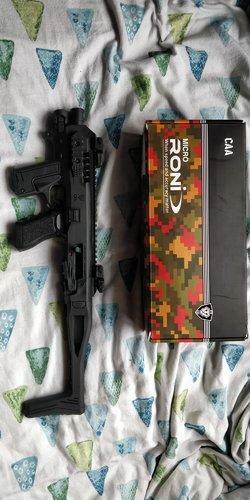 He's my micro Roni kit which is designed for real steel glocks which I had to import in from Israel. The attachments that come with it are also from Israel and are designed especially for the Micro roni so are also of very good quality. 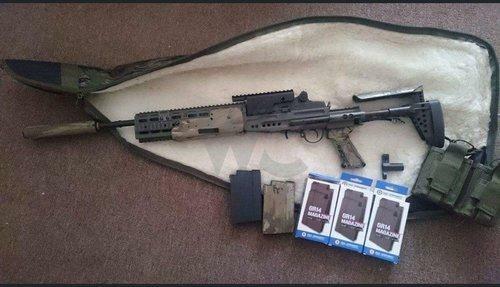 I almost guarantee that you won't find this type of carbine kit anywhere on the field. Attachment list: MBUIS style sights Torch that sits inside the carbine kit Sling Thumb grips The cost of these items alone comes to well over £400, it's not just your cheap and cheerful Airsoft versions found such as the normal RONI's. This model (the micro Roni) was designed for Israeli SWAT teams and features a folding stock and inbuilt attachment slots to reduce its side and decrease the chance of getting caught up on rigs. 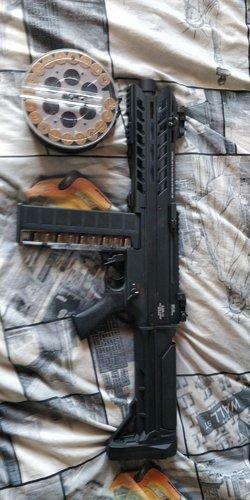 It also features a hollow foregrip where a spare magazine can be held. The kwc g18 itself comes with 5 mags with one being damaged (1 working extended, 1 non working extended, 3 normal). Works but had the slide filed down to fit into the gun so looks ugly as sin. Select fire still works. 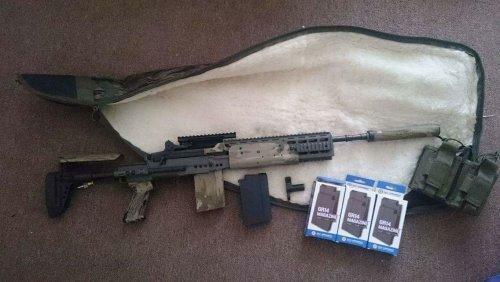 £425 all in for G&G M14 EBR HPA with Line and Reg £280 all in for A&K M249 AEG with 4 box mags Everything else has now sold Cash offers only, No time wasters. Prices include postage and fees. Can send more more pics and info if needed. All guns sold as seen and described. 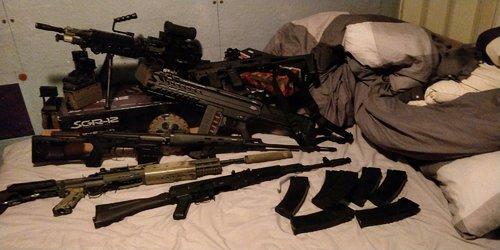 Will not split up packages unless the guns go first.